The majority of USB keys are oh so boring… So why bother with those, when you can show some character ~ AND hold your data? I’ve been seeing Mimobots around the internet for a while now and loved them, but fell for them far more when i checked the whole line out in person while at Digital Life! (where you may have heard about their Darth Vader Mimobot announcement!) Evan and Nicole were even nice enough to give me Ramona #100 out of 500 to play with, and she was a life saver during the show when i needed to mess with file transfers. Ramona is one of three in the Ginchy Series, designed by Lili Chin (co-creator and producer of the hit Mexican Wrestling cartoon series “¡Mucha Lucha!”). 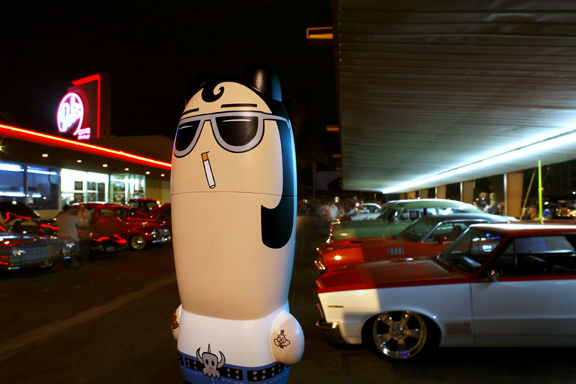 But what really sucked me in was the accompanying photography for this series by Brian McCarty (see the old NOTCOT post about McCarty) - “renowned toy photographer and director/producer provides an extra-special cargo load for the series with his quirky photo albums of the Ginchy friends’ Los Angeles adventures, set to a soundtrack by Phofo.” See some of the great images of the rest of the Ginchy line in their rockabilly LA portraits below, as well as the invite to the Launch Party for the line over at Munky King this weekend! Hoodies! You can even get them little zipup hoodies that you can hang from your keychain/bag/etc. As for functionality ~ these little guys were tinier than i imagined - they are only 2” tall, and little light up butts so you know when they are plugged in, and extremely pocket/wallet friendly. 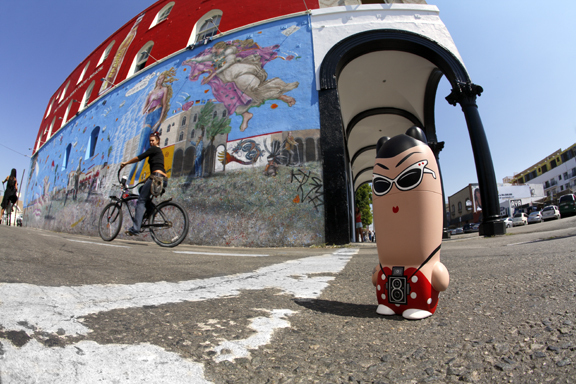 Mimoco has filled a great niche mixing the collectible toy industry with these great USB creatures… you know we can’t resist a great mix of art and tech. Here’s the flyer for the Ginchy Series Launch party at Munky King for fellow LA area folks. 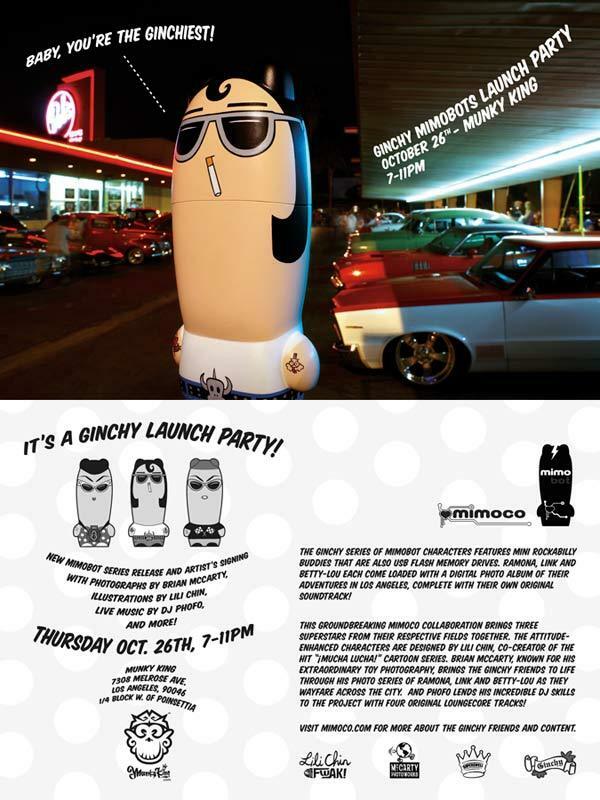 Ginchy Series release party on Thursday, October 26 at Munky King Melrose. All superstar Ginchy collaborators will be on hand to celebrate the release - Phofo on decks, and Lili and Brian will arrive with special artwork for the occasion. 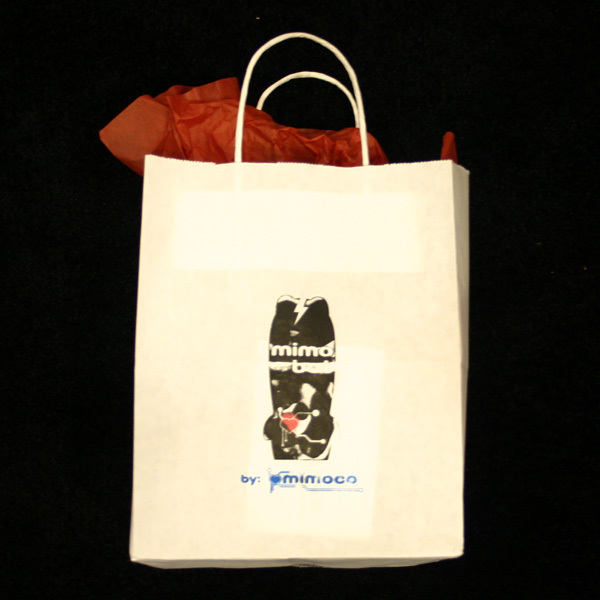 One last thing, i loved that the bags they were using were hand screen printed with a Print Gocco. Multi color even!